Lucknow, August 9: Uttar Pradesh is leaving no stones unturned in proving itself as a Uttam Pradesh. In new developments witnessed in the state, it has been notified that the state government will appoint interns in every block of the state to publicize the welfare programs of the government. This move is aimed at popularizing the schemes so as to make people get benefits of all the schemes. 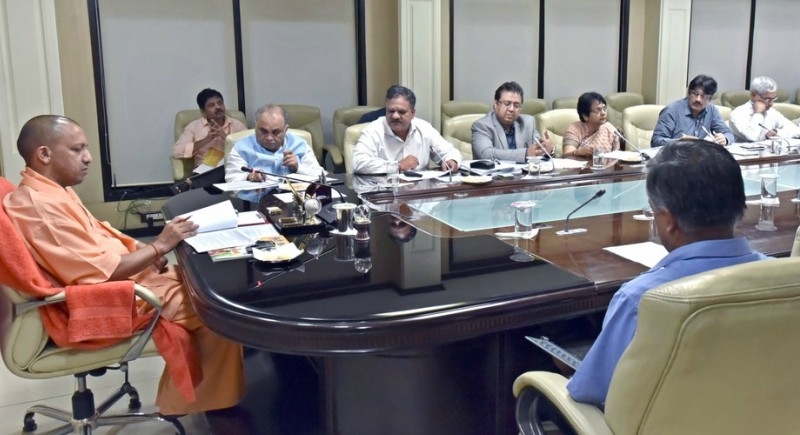 The decision was taken by the Chief Minister Yogi Adityanath in the cabinet meeting. The pronouncement of this new development targets in connecting youths to the people so as to reach the masses at a faster pace. Besides this, the government also approves a proposal to open new faculty and pro-chancellor in the King George Medical University. State government spokesperson and state Energy Minister Srikant Sharma told reporters here that 822 Lok Kalyan Mitra staffs, one in a block would be appointed, through a written examination, which will publicize the government's schemes and programmes at the village level. "These appointments would be made for a year with another extension of a year on the permission from CM and it would be an internship programme only," he said with adding that the selected candidates would get a monthly honorarium of Rs 25,000 plus Rs 5000 as a conveyance. He further added that 30% of the post is reserved for women. Apart from this the eligibility frame would also incorporate the candidates from the age between 21 to 40 years and graduate in any discipline along with full knowledge of computers. The selected students will have to go to villages and get the inputs of the people to fill in the forms to the eligible people liable to the schemes. To keep on their performance, a district-level committee will be set up which will take a report of the working done by the students for three months and will then report the same to the government. The Lok Kalyan Mitras will be appointed in October after the written examination and will be given quality training from the institutes in Uttar Pradesh. Srikant Sharma further added that the government wants to add energetic and experienced youth of the state through this internship scheme who are committed for social change. Initially, these appointments would be made for a year with another extension of one year on the permission from Chief Minister.